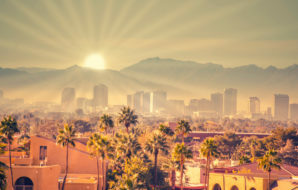 A common misperception is that Phoenix is a flat desert with cacti and palm trees as its only greenery. That’s far from the truth. Two of the highest points in the Phoenix area are close to the city center.